Well, we love the name! 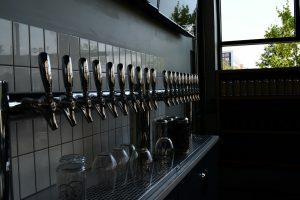 As you may have guessed, they will serve craft beer and wine at their Potomac Yard location at 2724 Jefferson Davis Highway. 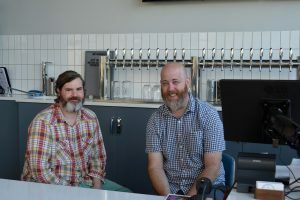 Co-owners Jeff Sapsford and Steve Treichel, both Northern Virginians, will offer 22 taps of big names and small local brews. The Department’s mission is to shape and sustain a fun, unique, informative, and community-oriented retail environment, as well as to foster conditions for customers, brewers, makers, growers, artisans, and vendors alike to come together for the benefit of the people of Alexandria, VA, the greater DMV area, and craft enthusiasts everywhere. This mission, one of heartfelt commitment, is shared by this Administration and all staff members, ensuring a common path forward as we invest in our mutual love of the craft beer, wine, and gourmet food industries. As we join the establishments that came before us, we pledge to become a positive force in this industry, a strong supporter of arts and music, and a leader in the community. We can’t wait to try it out.